We are so excited to announce the world premiere of our new show, Splish, Splash: Water Stories! Developed with the help of Project WET, this show explores our most precious resource in a fun and educational way! Large hand-puppets are used in the Australian folktale of “Tiddalick the Frog” and the Creek legend “Rabbit Plays Tug-of-War,” which demonstrate that water is important to all cultures. 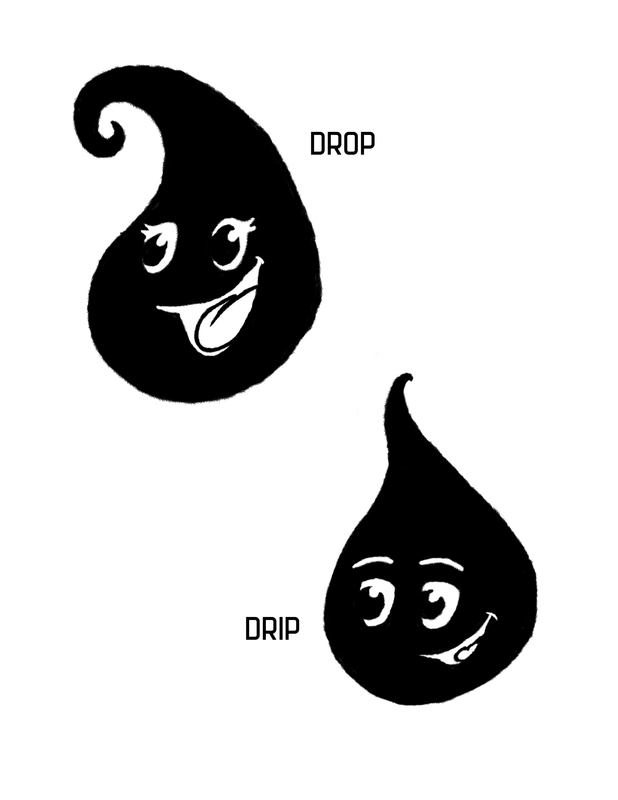 The original shadow puppet piece, “The Adventures of Drip and Drop,” shows the water-cycle from the point of view of the raindrops. As the closing song says, “Everybody needs a little water!” Best for ages 4-10. See below for the schedule, including FREE performances! 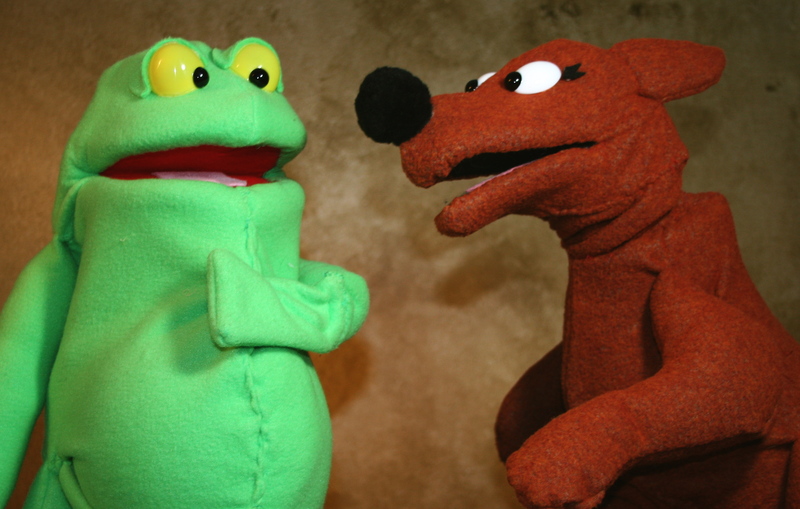 Kangaroo tries to persuade Tiddalick the Frog to share water. Previous postWelcome Spring with Free Puppet Shows!